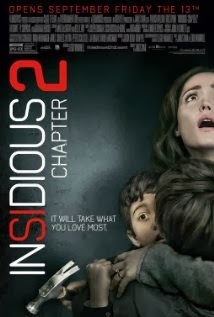 Insidious: Chapter 2 (2013), PG-13, 106 minutes - Last fall when this film was released, my wife (fiance at the time) and I still hadn't seen the original from 2010. We made sure to sit down and watch it in preparation for this sequel (my review for it can be seen here). We then got caught up in the final stages of wedding/honeymoon planning and missed Chapter 2 in theaters. A couple of weeks ago we finally had the opportunity to sit down and give this one a watch. Insidious: Chapter 2 is a direct sequel to the first film and picks up right where the first one ends. That being said, as spoiler friendly as I try to be, if you haven't seen Insidious yet read no further as some spoilery stuff is imminent. 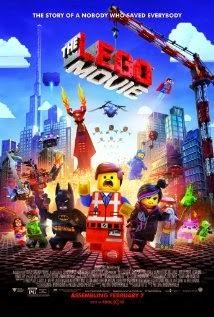 The Lego Movie (2014), PG, 100 minutes - I can't even begin to guess how many hours of my youth were blown playing with Legos. Either building whatever the directions intended or creating my own designs, Legos were a big part of my childhood. In more recent years, the Lego brand has expanded from models of towns, castles, and spaceships to include licensed sets (Batman, Harry Potter, Lord of the Rings, and Star Wars for example) and have even extended to video games. The latest advancement is a move to the big screen, and as the film's theme song rightly proclaims: 'Everything is Awesome'!